The move denies Magic Johnson the chance to be a part of ownership group that would have overseen what could have marked the third Los Angeles-based sports franchise where he exerts influence. Yet, Johnson sounded as gracious on Twitter about former Microsoft CEO Steve Ballmer making a $2 billion bid to purchase the Clippers as the former Lakers great shows with his infectious smile. 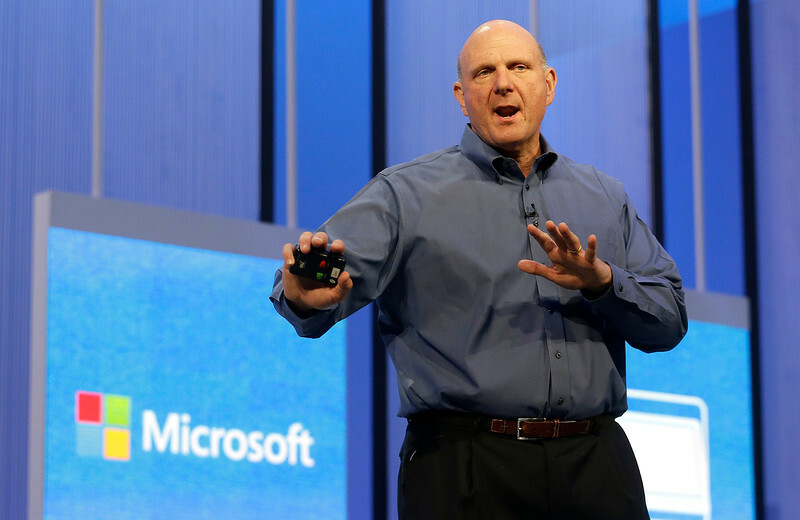 Clipper Fans you'll love Steve Ballmer as your owner! Ever since embattled Clippers owner Donald Sterling received a life-time ban and a $2.5 million for making racially offensive remarks on an audio tape last month, various league sources suspected the Lakers legend would have interest in joining an ownership group to buy the Clippers. The move would have offered a strong hint of irony considering Sterling expressed offense to his companion V. Stiviano that she posted a picture of herself with Johnson at a Clippers game. In a subsequent interview with CNN’s Anderson Cooper, Sterling also argued Johnson does not do enough to help minorities, despite his efforts both to raise millions of dollars in urban neighborhoods and his various businesses helping such communities. But Johnson’s ties with the Clippers also would have continued a pattern in which he became attached to various L.A. sports teams. After selling his 4.5-percent ownership stake with the Lakers in 2010, Johnson eventually became part of Guggenheim Partners, the investment group that bought the Dodgers in 2012. In February, Johnson’s ownership group also purchased the WNBA’s Sparks two months ago. Reports said Guggenheim executives Todd Boehly and Mark Walter were among the many bidders to own the Clippers. But that went to Ballmer, whose $2 billion purchase ranks as the most expensive transaction for a North American professional sports franchise. Guggenheim’s $2.15 billion purchase of the Dodgers also included land, parking lots and a television deal. The Clippers deal involves real state surrounding their practice facility in Playa Vista. The purchase also trumps the $550 million that was paid earlier this year for the Milwaukee Bucks. Steve Ballmer loves basketball, is smart businessman & he'll probably shake every fans hand outside the arena on opening night! Still there’s some unanswered questions. The NBA still has to approve the process. It remains to be seen if Donald Sterling will try to fight the sale. Considering the Dodgers’ flagship cable station is in a dispute over prices with cable companies, it seems likely any new television deal could spur a similar conflict. There is also the Lakers angle of course, Balmer’s leadership presence on a talented team further illustrating the uncertainty the Lakers have with both their coaching search, roster and ownership dynamic. Yet, Johnson, who remains an unpaid vice president with the Lakers, believes this is great for Los Angeles. Steve Ballmer owning the Clippers is a big win for the City of LA and all the people who live in the City of Angels! This entry was posted in Magic Johnson by Mark Medina. Bookmark the permalink.